Submarine Channel and the Amsterdam Creative Industries Network present De Pont – an interactive film and game challenge that revolves around a true Amsterdam icon. Creators are invited to create a short (interactive) animation or game that takes place on the famous free ferry over the river IJ. De Pont is part of a research project that explores the storytelling potential of 3D game engines such as Unity for both filmmaking and game development. Whether you’re a student, a professional, or a studio – anyone can join. We provide the assets. You create a game or an animated film. This is the first demo of “De Pont: The Haunted Edition,” created by students from the Amsterdam University of Applied Sciences. They adapted the 3D assets to suit their haunted ferry-themed adventure game. We are looking for game developers, animators, interaction designers, storytellers, sound designers, filmmakers, professionals and / or students from all fields of study. Registering is quick, easy and free at depont.submarinechannel.com. We’re providing a set of 3D assets to help you get started. The 3D assets are made by NMtrix and will be distributed under a creative commons license. You can download a ZIP package on depont.submarinechannel.com. You can modify these assets according to the needs of your project and/or add your own. All we ask in return is that you share (a trailer, demo or walkthrough of) your edition of DE PONT with us and the other participants, and that you allow us to present your film or game at festivals and events. The results of DE PONT will be showcased online and presented at various events and international festivals. What if both game designers and filmmakers were to create a game or film based on the same theme using the same assets? How would they approach it? What stories or what game ideas would they come up with? The question that we present to all creators is: where do you imagine the boundaries between film and game, between watching and playing? Will you create a love story or a shooter? Do you want to address a current theme, create a serious game, or will you invent a social game that allows travelers on “het pontje” to connect with each other? For many people, taking a ferry to get to work and back is part of their daily routine. The ferry is also a classic theme in literature and art. 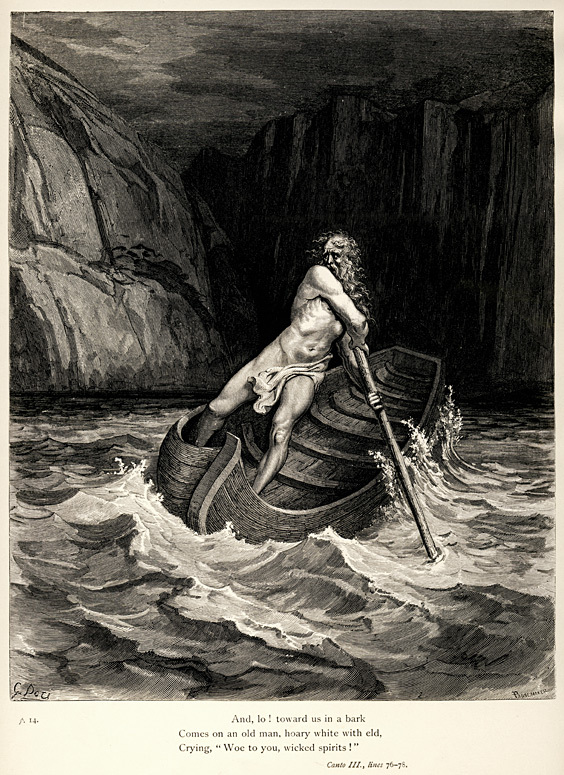 In Greek mythology, the ferryman Charon transports the souls of the newly dead across the river Styx into the underworld. Is everything the same on the other shore or could we be on a passage to a completely different world? Who are the other passengers and what happens between them on the way? Who is the ferryman? By choosing a universal theme, Submarine Channel and HvA aim to spark the creativity neurons in the brains of potential participants all over the world. De Pont is a follow-up to A Split Second (2008-2010) – a game research project that explored the notion of “artistic authorship” in video games. The project resulted in three playable “art games,” which were exhibited at various museums and galleries worldwide, including the Stedelijk Museum in Amsterdam and La Gaîté Lyrique in Paris. All three games are available for download via the web and the App store. DE PONT is an (interactive) film and game challenge. An initiative of the Amsterdam Creative Industries Network and Submarine Channel. Made possible by the Amsterdam Fund for the Arts (AFK). The 3D assets are created by animation studio NMTrix.